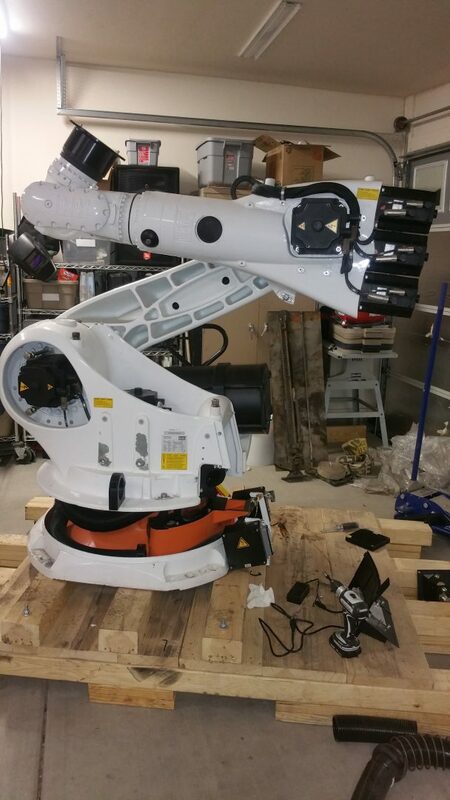 After lots of hassle with the freight company, my new Kuka robot has arrived! Turns out it was far heavier than expected, mostly due to extra instrumentation bolted to the robot and a huge amount of wiring associated with it. 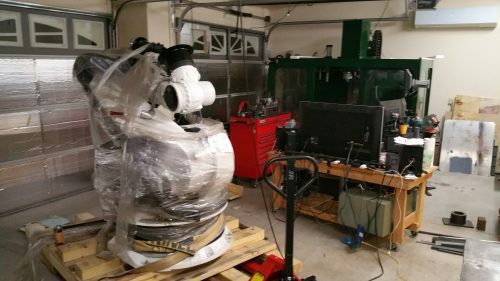 At 7am the day it was to be delivered, the freight company called me and told me they couldn’t actually deliver it to my house, even though I paid for the residential delivery. After a few calls, I got a friend with a big trailer to help me pick it up from their distribution center. 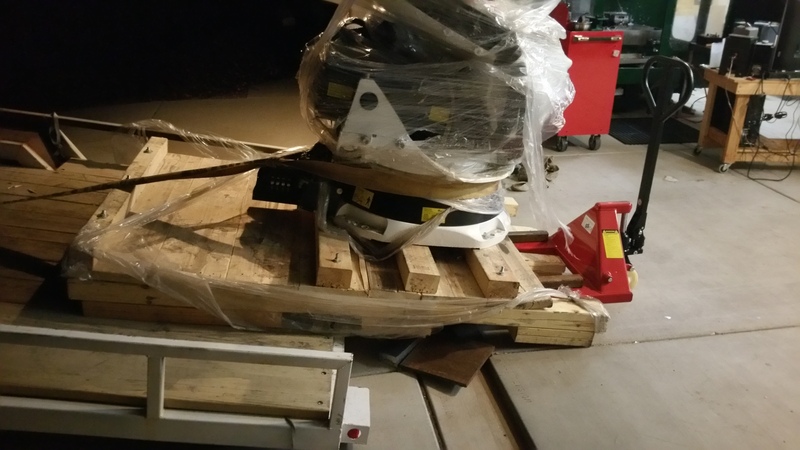 Picking it up was easy, they had a forklift. 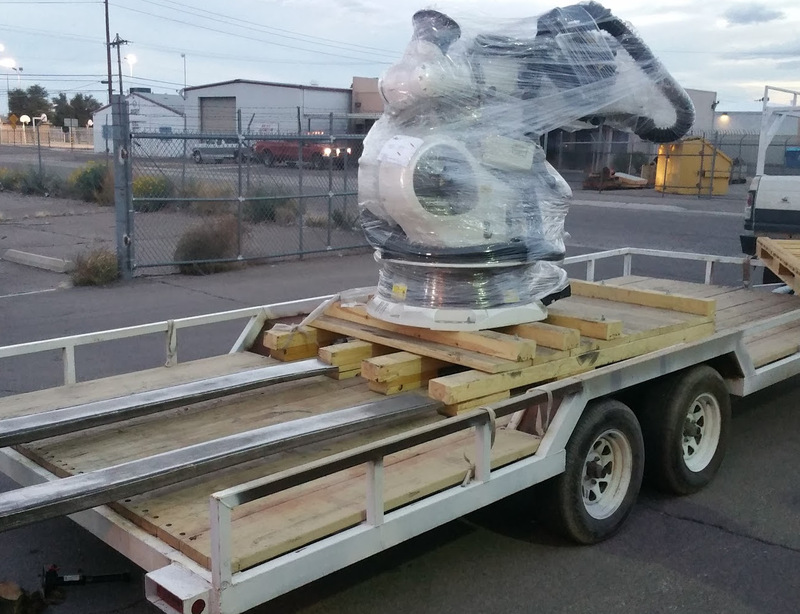 Dropping it off, not so easy. Because the freight company waited to the last second before telling me it could’t be delivered, I didn’t have time to get all the equipment ready for unloading. We improvised and put two High-Lift Jacks under the front of the trailer and slid it off with a pallet jack. 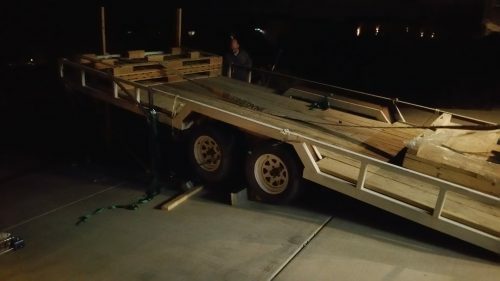 After all, isn’t every trailer a dumping trailer? 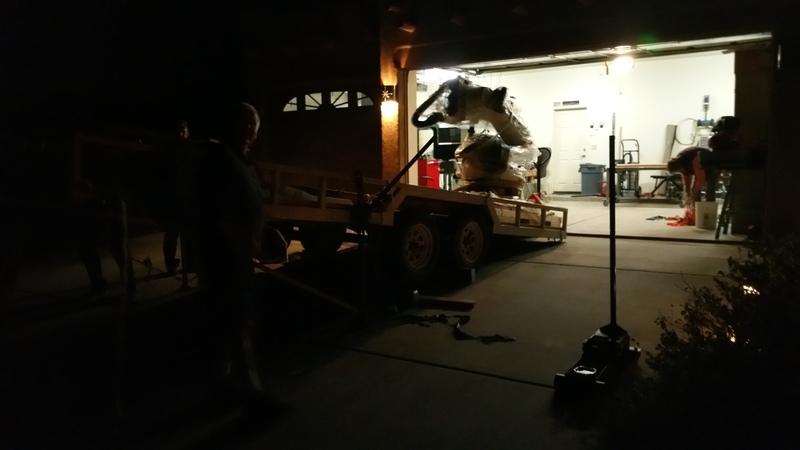 Luckily, thanks to lots of help, everything went smoothly and nobody got hurt. 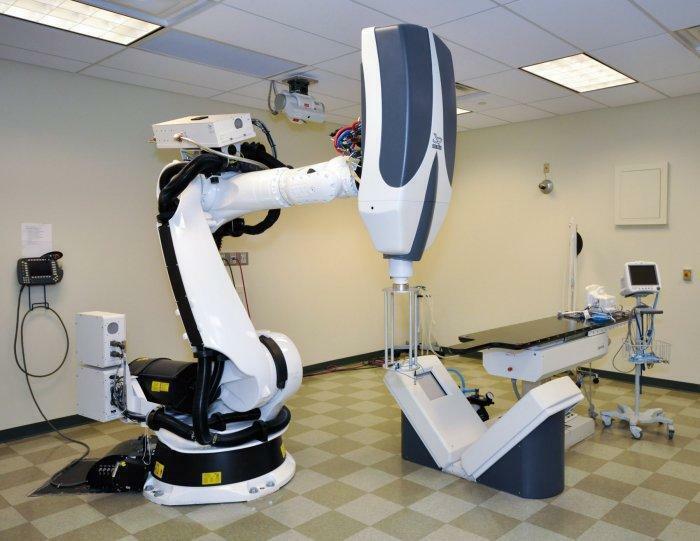 Once it was delivered, the equipment and wiring harnesses on the robot made it clear that it was a CyberKnife in it’s former life. 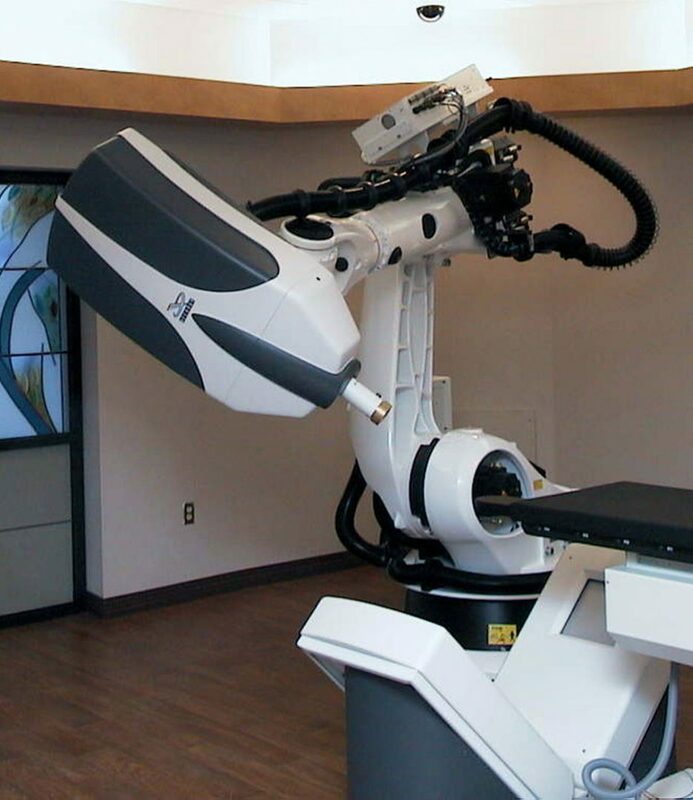 This is a picture of a CyberKnife I found online, the robot and cables are a perfect match. 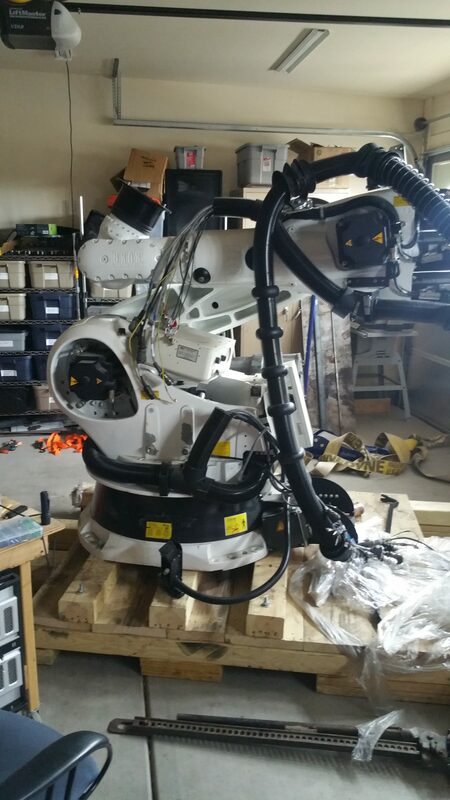 Mine even came with a couple of the boxes attached to the robot. 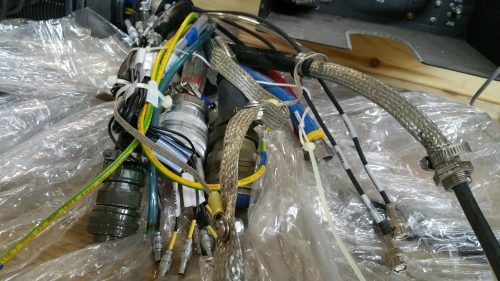 The wire harness connected to the CyberKnife was incredibly dense and was littered with mil-spec connectors. 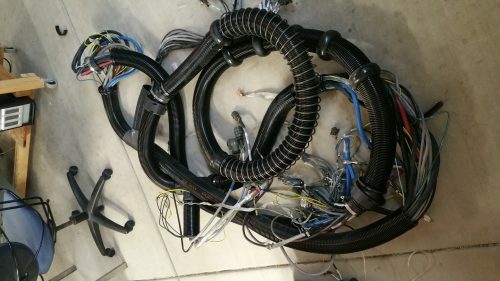 I am not sure how they even got all the wires so well packed into the conduit, but it must have taken a lot of patience. Next step, start building a new controller!